Daniel Loh: Free Malaysia Stocks Seminar: Is the Penny Stocks run in KL market over following the 4 stocks crash? 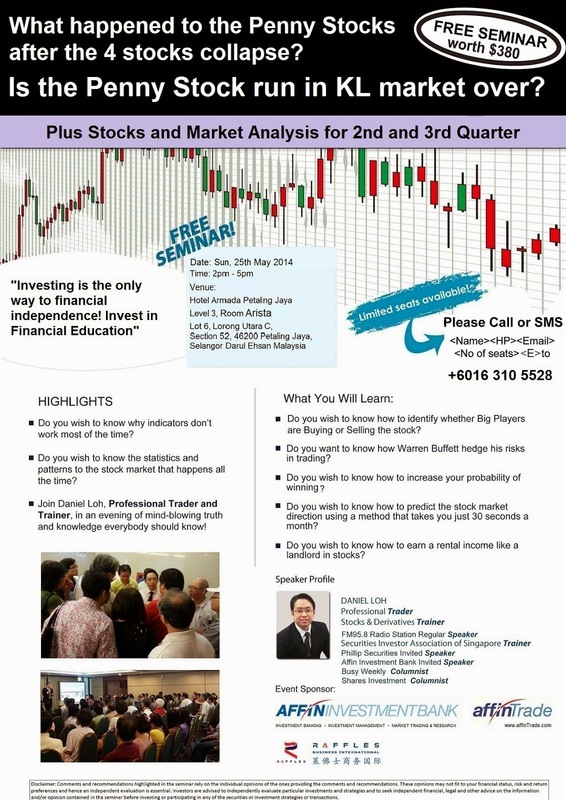 Free Malaysia Stocks Seminar: Is the Penny Stocks run in KL market over following the 4 stocks crash? 1) What are some penny stocks that you might like in your watchlist? 3) The rise of interest rate fear and how will it affect the market?